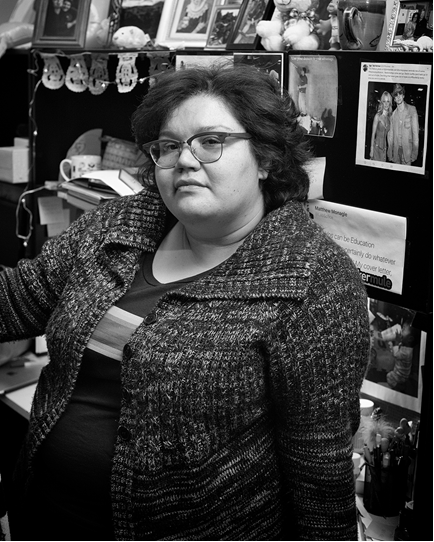 Barb Anguiano is an award-winning audio journalist. She’s proud of her Hammond roots and joined the WBOI News Team in the fall of 2018. Barb graduated in 2015 from Indiana University’s Journalism School, where she was first introduced to audio-storytelling and audio journalism. After graduating from IU, Barb traveled to the prairies of North Dakota and dabbled in print copy-editing. But she missed radio, and applied for and attended the Transom Story Workshop in the Spring of 2016. Thanks to Transom, Barb developed confidence in her voice as a journalist and later started her radio journey at WVPE in Elkhart, Indiana. When Barb isn’t digging to the heart of and covering local stories, she enjoys the Rolling Stones, Doctor Who, dogs, dogs dressed as Doctor Who. A wannabe petrolhead Barb’s biggest radio fantasy is to either produce a podcast about Formula 1 Racing, or dogs. East Allen County Schools will host their sixth annual Resource Fair Saturday, March 13 to celebrate Autism Awareness month. Jennifer Hartman is the transition coordinator for East Allen County Schools. Her job is to direct families with autistic students to resources that make out of school transitions easier, which sometimes isn’t very easy. The second week in April is National Dog Bite Prevention Week. Throughout the week, many organizations that work with dogs hope to help raise awareness of how dog bites can be prevented, especially for young children. The Fort Wayne Public Art Commission is asking the public for their opinions regarding public art. Parents had a final opportunity Monday evening to express their thoughts on the best way Lakeland School Corporation should address funding issues across the district due to low student enrollment numbers. Many who spoke Monday evening were parents who opposed Superintendent Dr. Eva Merkel’s proposal to close two elementary schools: Lima-Brighton and Wolcott Mills. But Lakeland school board members still voted 4-2 to move forward with the superintendent’s plan. Purdue University Fort Wayne announced today the campus will drop plastic straws in favor of more eco-friendly paper ones in its campus dining facilities. According to a press release from the university, Aramark, a major soft drink provider on campus, will finalize negotiations for paper drinking straws soon. The new straws will be available at all campus dining locations next week.